We were very lucky to be visited by a guide dog and it’s owner this week. 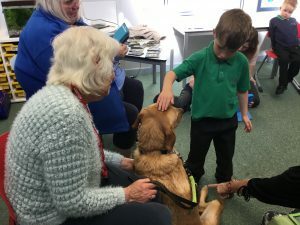 All the children listened carefully to the information given and enjoyed giving Molly the dog a stroke, even if that meant getting over nerves to begin with. Well done Robinson and Wiggins Classes.